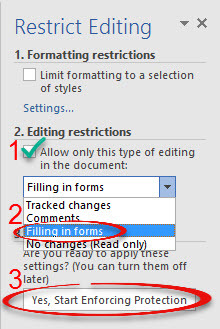 How to create a form in Word that can be sent out for users to complete. Users can input their information using content controls prior to printing, making the form very easy to read. 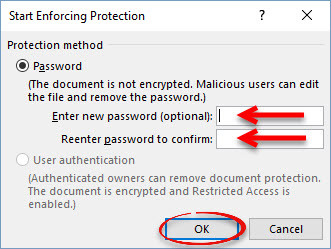 This process also works in Word 2013 & 2010. 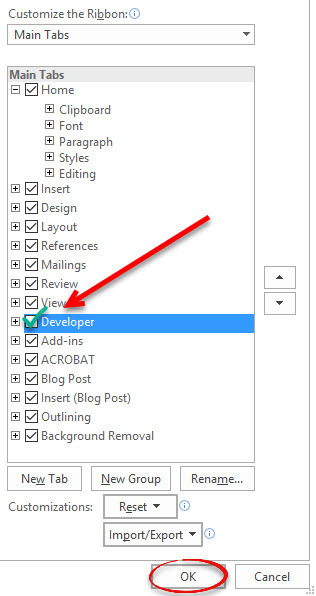 In order to create a form, you must have the Developer tab shown in Word. Step 1:In a Word document, click the File tab and then Options. Step 2:Choose the Customize Ribbon menu. 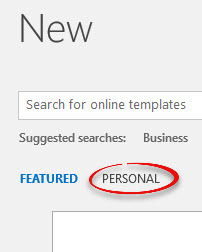 Step 3:Under Customize the Ribbon and Main tabs, put a check next to Developer and click OK.
You can create a form using a premade form template from Microsoft. You will then only have to the add the content controls. Step 2:Type "forms" into the search bar. Press [Enter]. Step 3:Using the toolbar on the right, select a category if desired. Step 4:Click on the form you would like to use. Click Create. Step 5:The form will open in a new document. Click File and Save As. Step 6:Choose a name for the file. Next to Save as type, choose Word Template (*.dotx) from the dropdown list. Click Save. You can create a form by starting with a blank template. You will have to create the form text before adding the content controls. Step 1:Open a new blank Word document. Under the File tab, click Save As. Step 2:Choose a name for the file. Next to Save as type, choose Word Template (*.dotx) from the dropdown list. Click Save. Step 1:Open the form template or blank template you just created. It will be under the Personal tab. Step 2:Click the Developer tab and select Design Mode from the Controls group. Step 3:If you are using a blank template, you will have to add the form text before adding the content controls. If you are using a form template, you can go ahead and add the content controls. The content controls are located under the Developer tab in the Controls group. These are the areas to which users will add their information. Rich Text Content Control:Using the rich text content control will allow users to format text as bold or italic and type multiple paragraphs. Plain Text Content Control:Only the form creator can format the text. Picture Content Control:Users are able to insert an image to the form. Building Block Control:Building blocks allow users to select a specific block of text from a list. Check Box:Insert a box for users to check. Combo Box:Users can choose from a provided list of choices or they can enter their own information. Dropdown List:Users can select from a provided list of choices only. Date Picker:Users can select a date from a dropdown calendar. To change the properties of any content control, click on the content control and click the Properties button under the Developer tab. When you are finished creating a form, you must protect it before sending it out. This prevents users from editing the text of the form. They will only be allowed to work with the content controls. Step 1:Under the Developer tab, click Restrict Editing. Step 2:On the task pane on the right, put a check under No. 2 next to Allow only this type of editing in the document:. 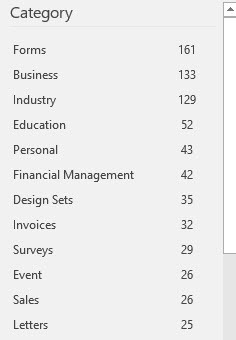 Select Filling in forms from the dropdown list below. Click Yes, Start Enforcing Protection. Step 3:Enter a password if you are sure you can remember it. You will be prompted to enter this password whenever you want to edit the form. If you do not want a password, you can just click OK.